Hi, I'm Madeline, and I have an addiction to mini beauty products. Anything that comes in a smaller size, I need. If I like it all that much, I'll indulge in both mini and mama sizes. 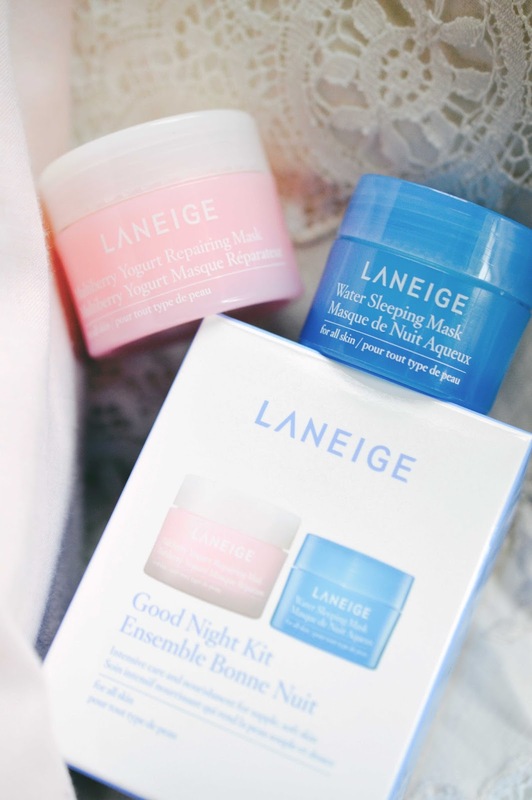 For a mere $8, the Laneige Good Night Kit is a great stocking/gift stuffer for all beauty enthusiasts. What it claims: Infused with antioxidant-rich multiberry complex and anti-inflammtory Sogurty™, a specialized fermented yogurt, to protect skin and support collagen production.Use once or twice a week. What I think: Mmmmmm strawberry Pocky Sticks! 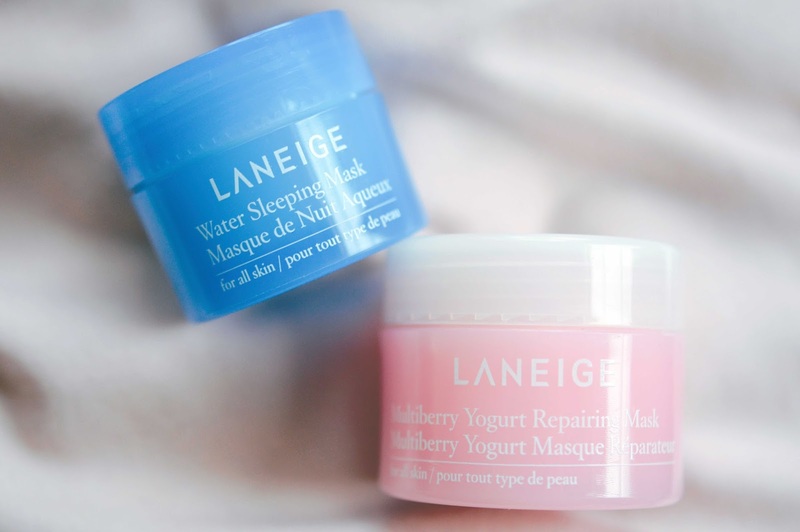 I really love the texture, smell and packaging of the Yogurt Repairing Mask. I'll paint it on my washed face with a clean foundation brush, leave for 10 minutes, and rinse off with a warm face cloth. My face is left feeling clean, and slightly more moisturized. I wish this could be left on overnight like the Sleeping Mask. The results just aren't there since the product stays on for such a short time. What it claims: An overnight, revitalizing gel mask that absorbs instantly and works while you sleep to deeply hydrate stressed, parched skin.Wake up to soft, glowing, nourished skin. Use once or twice a week. 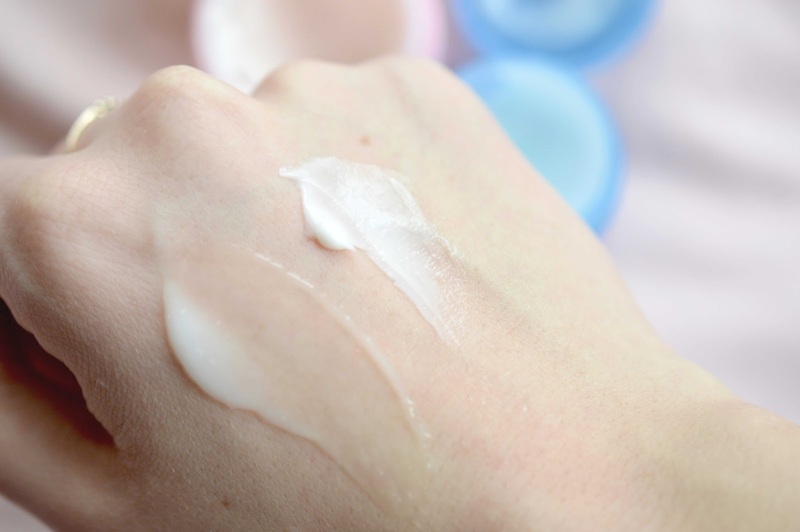 What I think: A cooling, non-greasy moisturizer which will calm redness and give your skin an extra boost of moisture. Ideal for the winter or after-sun, you will layer it on last over your anti-aging evening routine (toner, serum, moisturizer if skin is dry). The "Aromatic Sleepscent™" fragrance (orange flower, rose, and sandalwood) bothered me at first, but it has grown on me. This leave-on mask does not replace my Avène Soothing Moisture Mask, so I won't be repurchasing it. 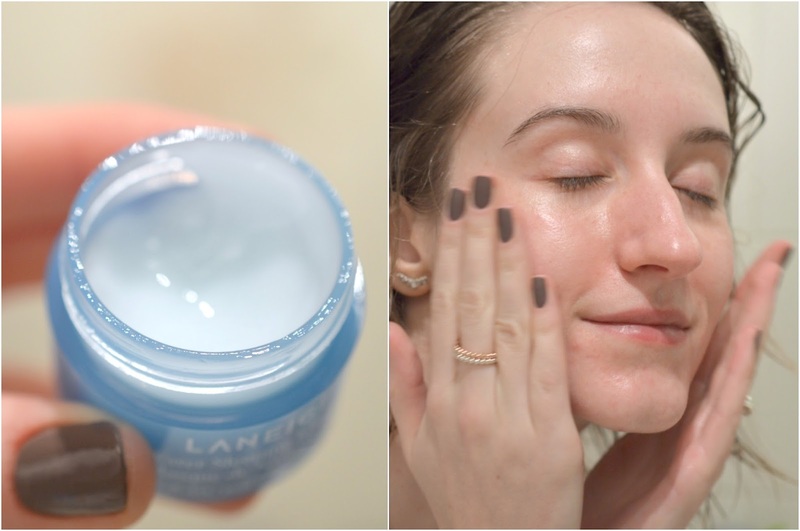 Cruelty Free, Laneige is a Korean brand which has made its mark in the Western world. It reminds me of The Face Shop, and it is owned by beauty brand AMOREPACIFIC - which I've chatted about here and here. Reviews are across the board for these two items, so if you're sensitive to fragrance or interested in seeing dramatic results, continue on. I also noticed that people were mentioning a "Korean version" for the Water Sleeping Mask, which is apparently much more effective. This often happens when companies offer different formulations for different markets, probably due to ingredient regulations.